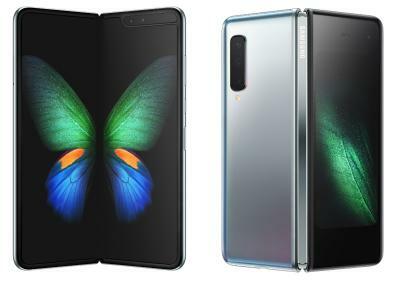 Last month Samsung unveiled its first foldable OLED device, the Galaxy Fold - with its inside-folding 7.3" 1536 x 2152 Infinity Flex AMOLED display. The GFold is not shipping yet - but according to Bloomberg, Samsung is already developing two more foldable devices. One of the two devices will look like a clamshell phone (an inside-folding OLED, but with a different form factor) - and the second will fold outside, in a similar fashion to Huawei's Mate X. The clamshell phone will be unveiled towards the end of 2019, or early in 2019. The out-folding device seems to be closer to commercialization and Samsung has already produced prototypes as it considered using this design in the first generation Galaxy Fold.